The restaurant count is growing day by day in Boston. Boston is welcoming nearly 150+ restaurants every year to its dining landscape. Some of these businesses taste success seemingly overnight, while others do not. 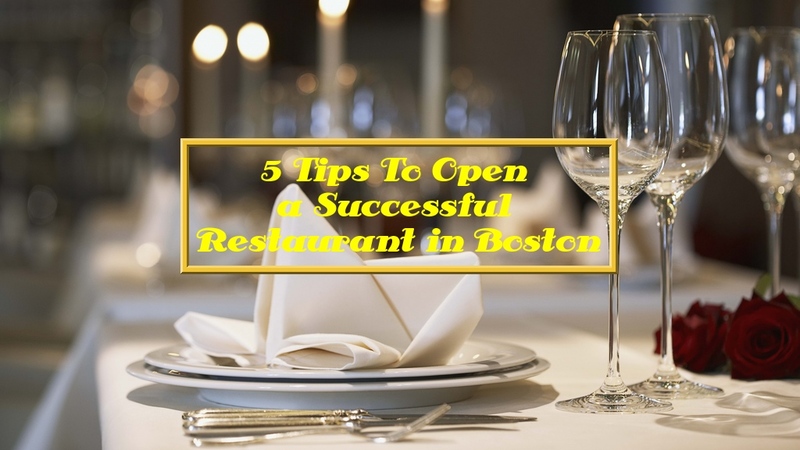 If you are planning on Opening a restaurant in Boston, the question is: How do you create a successful restaurant in Boston’s great competitive dining environment? If you’re worried, try to keep yourself calm and think of a teacher who is trying hard to get the attention of his students. Now, turn the tables and consider this: What if those students are vying for their teacher’s attention every day? Keep your eye on your goal, stay focused and attempt to temper your stress. Recognize the mistakes you’ve made previously and endeavor not repeat them again. Don’t be afraid to make changes and make your business the best among your competitors. If you’ve decided to open a restaurant, finding a location could be the most difficult part of your job. There are lots of facts you need to keep in mind, such as crowd, land etc. Most importantly, try to find an exciting, dramatic space that can also help to tell your story and create a dialogue. Finding good people is certainly not an easy job, but finding the right team/staff should be your top priority. You will have to bring passionate people together to make a winning team. These workers must be passionate about their jobs and about the owner’s ideas and concepts. Otherwise, you need to move on and find another team… If your team is not accepting of your terms, you can’t expect your customers to be. Each member of your staff is a brand ambassador, from the GM to the runners and dishwashers. Your team is capable of translating your vision to the customers and general public. You can’t expect customers until you create a brand that people find engaging. Because the restaurant industry is massive, you have to create a welcoming, memorable place where people like to visit. You have to think beyond your traditional PR ways and build a strong brand and engaging community whenever and wherever possible. Convert people from strangers to your customers by connecting the digital dots and keeping them in a constant mode of engagement. As a start-up in the restaurant industry, you have to be prepared for “all in or nothing.” The opening mode will extend way before and way after opening day. Be prepared to work extremely long hours in the starting days, and be prepared to do anything at any time that is required. This includes cleaning tables to taking out the garbage, and offering a warm smile to donning a party dress to host a gala event all on the same day. Yes, that actually happens. Be ready for anything.